It’s time to get organized for an ACTUAL revolution. And this revolution needs you. A whole different world is possible—a world without borders, a world where no human being is considered “illegal,” a world without the division into a handful of bloodthirsty imperialist powers and the vast majority of humanity locked into the oppressed nations. The only thing standing in the way is this system of capitalism-imperialism. This system is driven by the anarchic mad-dash competition between these brutal powers for more profitable exploitation of the people and the planet. It forces people to flee their homes from poverty-stricken conditions and imperialist destruction. Then it callously demonizes and persecutes them, tearing families apart for trying to escape the misery this system itself causes. This system cannot be reformed. And it promises far worse: the consolidation of a fascist America, with that monstrous ghoul Donald Trump threatening nuclear war on the world and even worse environmental devastation of floods, droughts, mass starvation... all still within a system that cannot do anything to stop this preventable suffering and death. This system needs to be overthrown through an ACTUAL revolution to bring into being a radically different, and far better, world. This revolution is not just necessary, it is possible. And there is a force that is getting organized and working to make this revolution at the earliest possible time. A force you need to link up with and a force you need to join. Right now, we urgently have to wage the political struggle—uniting people from many different perspectives—to drive this fascist Trump/Pence regime from power. Before fascism is able to fully consolidate, we have to lead millions into the streets with the determination: No! In the Name of Humanity, We REFUSE to Live in a Fascist America! As we do, we need to be on a mission to spread the word, to let people know that we have the leadership, the science, the strategy and program, and the basis for organizing people for an actual, emancipating revolution. We have Bob Avakian (BA), the leader of this revolution and the architect of a new framework for revolution, the new synthesis of communism. We have the Party led by BA, the Revolutionary Communist Party, with this new synthesis as its scientific basis to build for revolution. 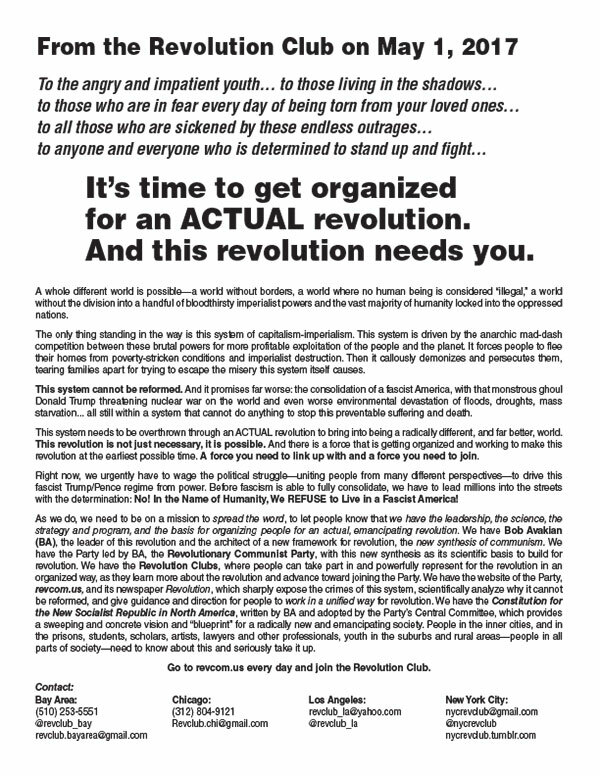 We have the Revolution Clubs, where people can take part in and powerfully represent for the revolution in an organized way, as they learn more about the revolution and advance toward joining the Party. 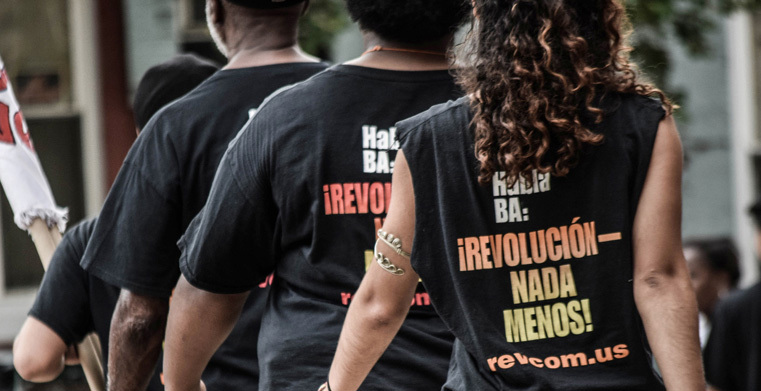 We have the website of the Party, revcom.us, and its newspaper Revolution, which sharply expose the crimes of this system, scientifically analyze why it cannot be reformed, and give guidance and direction for people to work in a unified way for revolution. 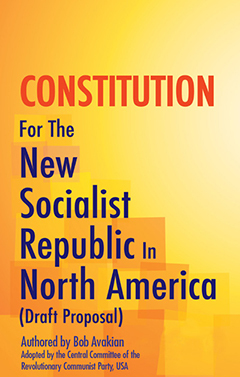 We have the Constitution for the New Socialist Republic in North America, written by BA and adopted by the Party’s Central Committee, which provides a sweeping and concrete vision and “blueprint” for a radically new and emancipating society. People in the inner cities, and in the prisons, students, scholars, artists, lawyers and other professionals, youth in the suburbs and rural areas—people in all parts of society—need to know about this and seriously take it up. Go to revcom.us every day and join the Revolution Club.